Welcome to my practice! 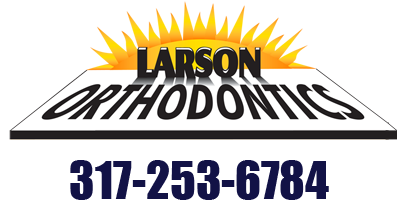 My desire is to provide the highest quality orthodontics possible in a caring, fun and professional environment. I enjoy getting to know my patients, and after 30 years of practicing orthodontics, I still consider it a joy to serve the people of our community. In order to become an orthodontist, I attended the Ohio State University as an undergraduate and received my DDS from Case Western Reserve University before going on to the Indiana University School of Dentistry, where I attained my MSD. Although my formal education was completed almost three decades ago, I am still learning about my craft. In order to provide my patients with the highest quality services available, I must always keep abreast of the latest advancements in technology as it applies to my patients. I believe the function of the jaw and the way the teeth come together is just as important as the beautiful smile we aim to achieve. At my practice, our goal is to achieve these optimal results at a reasonable price in order to provide maximum value for the patient. My practice is truly patient-centered. My staff and I strive every day to make each visit positive, educational and worthwhile. I enjoy getting to know my patients on a personal level. This not only helps me to provide truly individualized treatment according to their needs, but I also have made some great friends! I always try to find out the personal interests and hobbies of my patients. I want to know what makes them smile! I am originally from Middletown, OH, but have lived in Indianapolis for nearly 30 years. I have two daughters and one son. The youngest children are in the 2nd and 6th grades. In my spare time, I love to snow ski, water ski, golf and work out. I enjoy coaching my kids in soccer. I also like to fly airplanes and I am an instrument rated pilot.